Happy Halloween with Pumpkin Pancakes!!! I've only made scones one other time (Chocolate Chip Scones), and I really loved them. 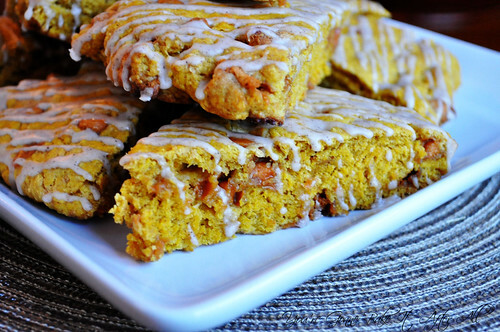 When Annie posted these pumpkin scones almost two years ago, I immediately planned to make them. I mentioned before that sometimes I never get around to making a recipe and it gets pushed to the next year . . . that is exactly what happened with these scones, although twice. I've even bought the buttermilk twice before! I was determined this fall to finally make these scones! We had planned a girls shopping day so I decided to bring the scones to have before we started our day. These scones are not what I think of as typical scones; they are more like a cake. My mom didn't even want to try one because she's not a big scone fan, but she thought these were more like a coffee cake, and she loved them! In fact, everyone loved these, including Bob who is a self-proclaimed pumpkin-hater! (We have since discovered his dislike of pumpkin is really a dislike of the texture of pumpkin pie!) 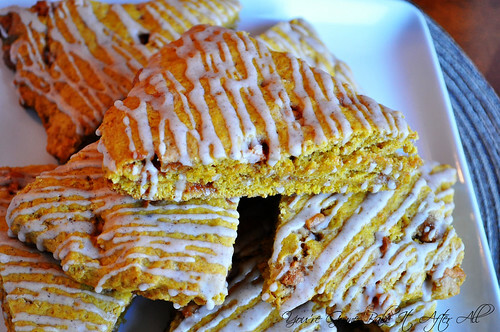 The butterscotch chips really do add a great flavor to the scones, and the spicy glaze is nice as well. Bob has already asked me, several times, to make these again - that's a winner in my book! Preheat the oven to 400° F. Line a baking sheet with parchment paper or a baking mat. 1. In a medium mixing bowl, combine the flour, brown sugar, spices, baking powder, baking soda and salt; whisk to combine. 2. Add the cold butter chunks to the bowl and stir with a fork to combine. Cut the butter into the dry ingredients using two forks or a pastry blender until the mixture resembles coarse crumbs and the largest butter pieces are no bigger than peas. Mix in the butterscotch chips. 3. In a small bowl or measuring cup, combine the buttermilk, pumpkin puree, and vanilla extract. 4. Add the wet ingredients to the bowl with the dry ingredients and stir together gently just until the dough comes together. If necessary, knead a bit with your hands, but be careful not to overwork the dough or you will end up with tough scones. 5. Transfer the sticky mass of dough to the prepared baking sheet. Pat the dough into a 8 or 9-inch round. I sprayed my hands with non-stick cooking spray to make this process easier and prevent the dough from sticking too much to my hands. It also helps to smooth out the surface a bit. 6. Bake the round until a toothpick inserted in the center comes out clean, about 17-25 minutes. (The original recipe stated 22 - 25 minutes, but mine cooked in closer to 17 minutes.) Allow to cool to room temperature. Slice the dough round into 8 wedges. 8. Use a whisk or a plastic bag with the tip cut off to drizzle the glaze over the finished scones. 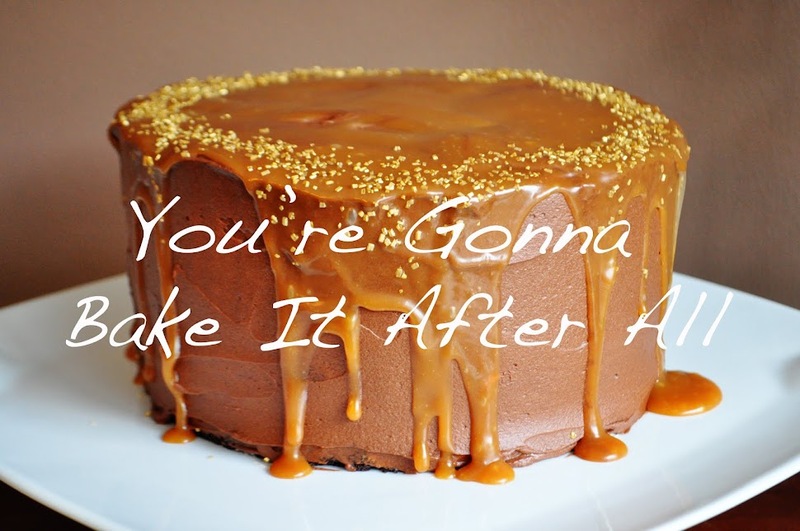 Allow the glaze to set before serving. These were wonderful, so moist, not like scones at all.